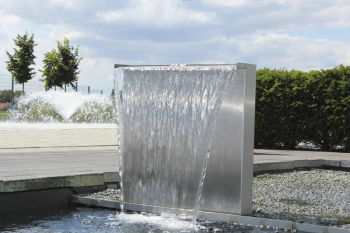 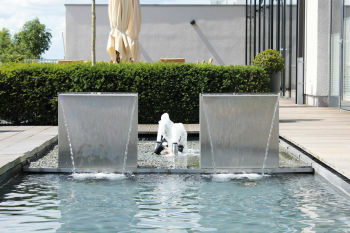 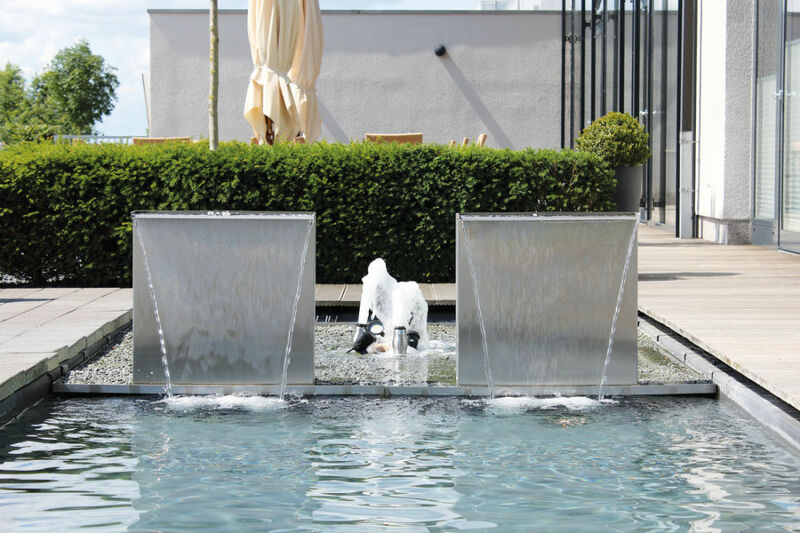 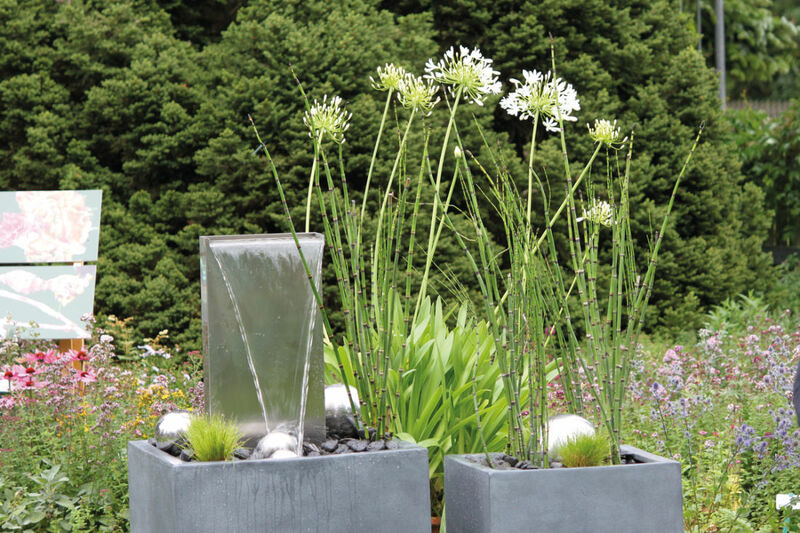 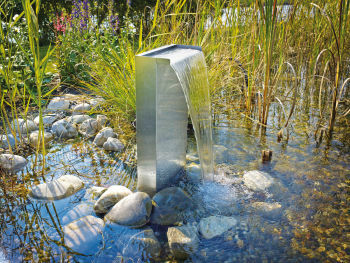 The OASE Waterfall Kits are stand-up stainless steel water features that incorporate the OASE Waterfall Water Blades. 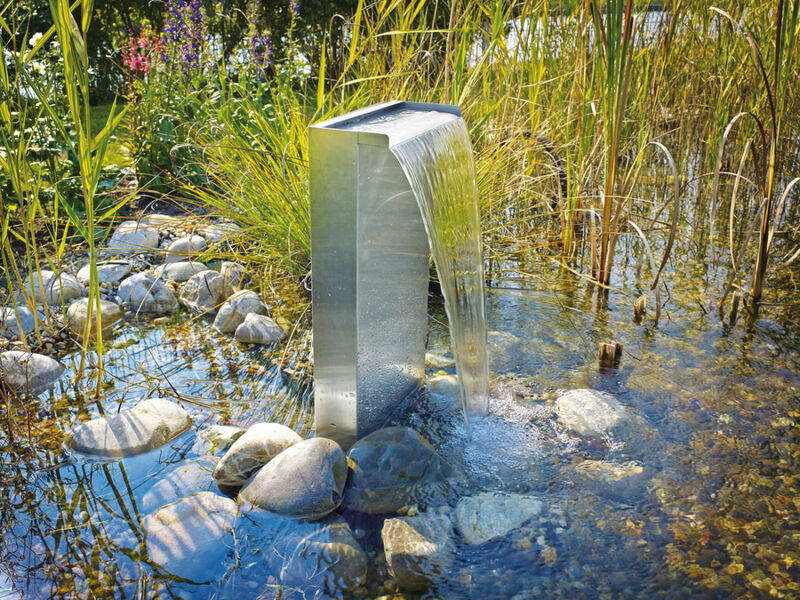 Waterfall Kits can be positioned at the pond edge, installed directly onto the floor of shallow ponds, or set up as independent garden water features with the use of an Underground Water Reservoir. 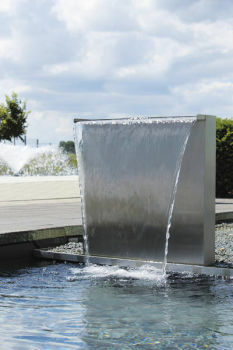 There are 2 sizes of Waterfall Kit available, the Waterfall Kit 30 (30cm wide) and the Waterfall Kit 60 (60cm wide). 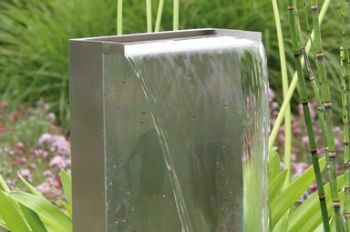 Both sizes stand 60cm tall. Waterfall Kits are supplied with hose connection fittings, a 3 metre length of flexible hose pipe and floor mounting fixtures. 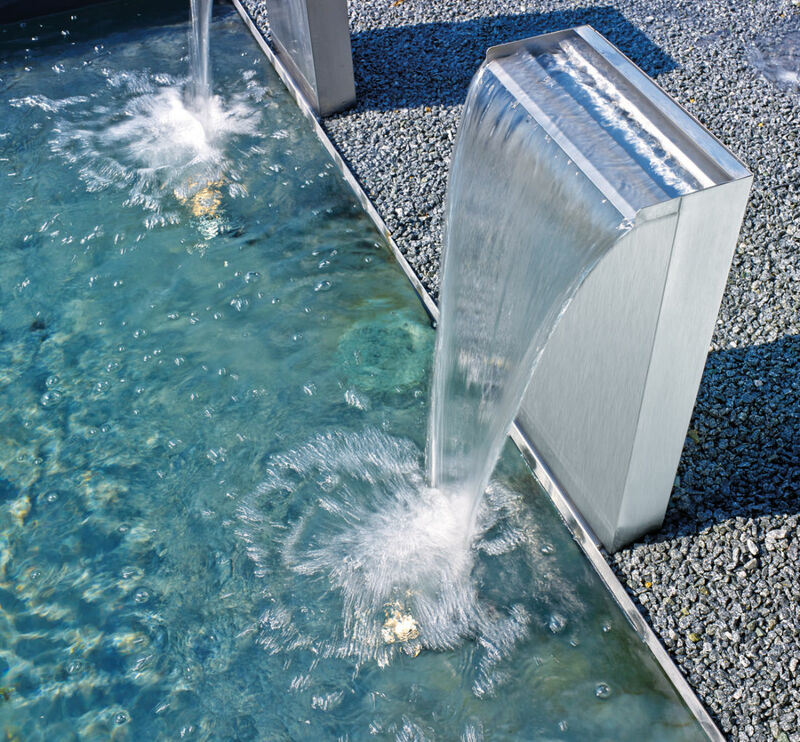 Optional warm white OASE Waterfall Illumination Kits can be fixed inside the water blade section to illuminate the falling water.